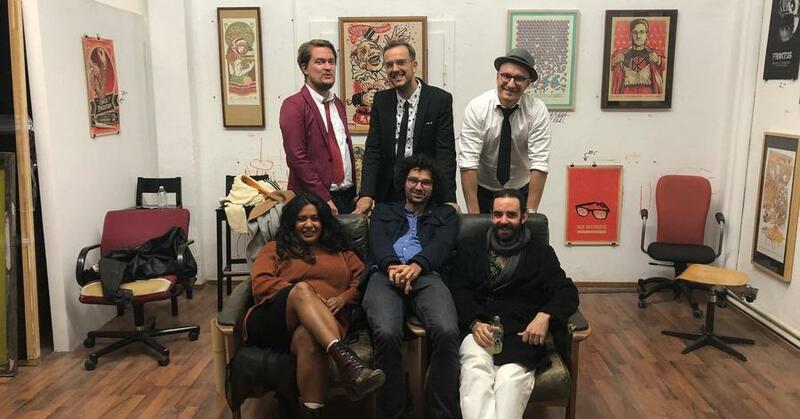 Kristin Amparo & Combo de la Musica – 03.10.2019 20:00 @ ACUD MACHT NEU | ASK HELMUT – Best time out in Berlin. Kristin Amparo is a vocalist and songwriter on the rise to worldwide recognition for her unstoppable and seemingly unlimited artistry and vocal abilities whether it be live on stages or in the studio. She’s already had her breakthrough in Sweden in co-writing and singing on the number 1 hit “Your Soldier”. She is also the unmistakable voice behind the dance music monster hit “Dance Your Tears Away” by John De Sohn. Kristin Amparo has worked with most of the Swedish music elite including Nina Persson of Cardigans, Oskar Linnros, Daniel Adams-Rey and Looptroop Rockers just to name a few. Moving freely across genres she has been a strong force in the hiphop collective Femtastic, making hits with the hyped Swedish rapper Cleo and at the same time writing music and performing with the ultra cool retro outfit of souljazz group Combo De La Musica. In 2015 Kristin participated in The Melody Festival and performed the critically acclaimed song “I See You” that later sold gold. With a background in jazz education at the Royal College of Music in Stockholm it is no real surprise that the recent jazz release “A Dream” has been incredibly well received by critics and fans. Combo de la Musica is the the perfect combination of soul, funk and some African as well as Latin sounds. A mix of boogaloo and soul that evoke memories of the 60’s and 70’s. Presented by ASK HELMUT & Dynamite Konzerte.